The deadliest earthquake to hit Ecuador since 1987 has claimed more than 400 lives so far. And while the toll continues to surge, rescuers are still unearthing glimmers of hope amidst the carnage. Much of it thanks to the tireless efforts of emergency workers - and their sniffer dogs. 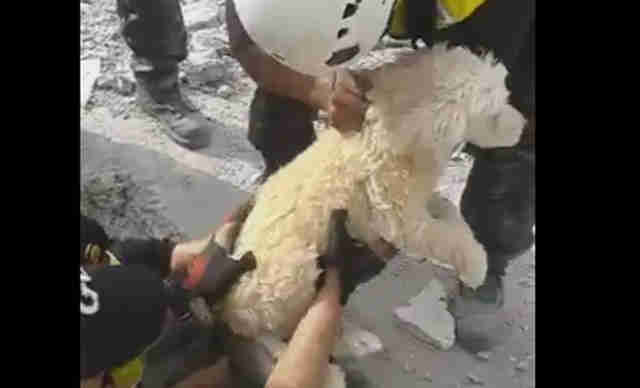 In the port city of Manta, rescuers working alongside dogs managed to free eight people who had been trapped in a collapsed shopping mall for 32 hours. A hotel worker was hauled from building ruins in Portoviejo after he managed to make a cellphone call from under the debris. But while dogs have been cited as a crucial factor in the search for survivors, in one case, it was a dog who needed the help. 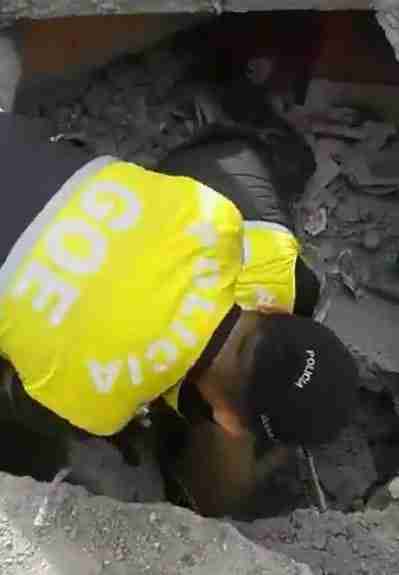 According to the Twitter account for Ecuador's national police, this dog was trapped in rubble before human hands pried away the stones - and pulled him out. He was not only alive, but, judging by the video of his rescue, healthy enough to scamper on his way. Sometimes, hope comes in all shapes and sizes.